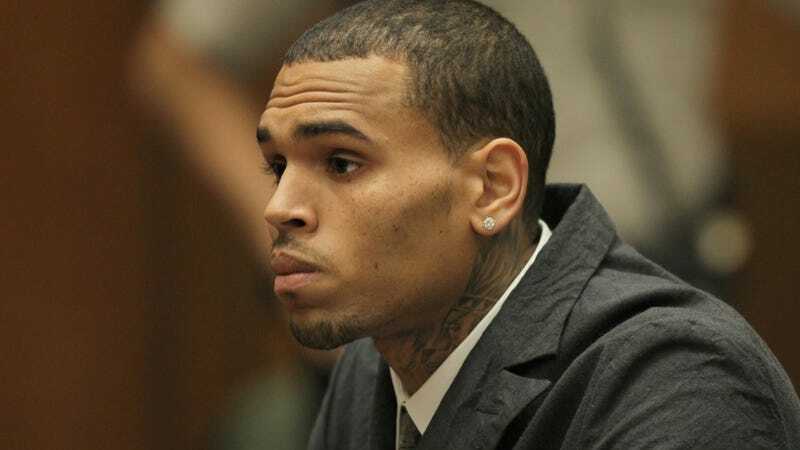 Chris Brown, a dancing/singing person who has fans for some unknown reason, was just charged with criminal hit-and-run. The charges stem from an incident in May. The singer/dancer/awful human ran into a Mercedes and left the scene. He allegedly refused to provide his information to the other driver and also gave false insurance info, which all sound like thoughtful, considered things to do from a levelheaded person. This is not Chris' first vehicular faux pas either. He also wrecked his 911 Turbo earlier this year. Some would argue he also wrecked his Lamborghini Gallardo with a crazy paint job. If he's convicted, he could face 16 months in jail on each of the two charges. He's also still on probation from when he beat Rihanna, but it is unclear if this violates his probation.